Media says Dr. Aamir Liaqat has fake degrees and that too issued by Axact. He is popular in a particular segment of Pakistan for his knowledge who have admitted him as an Islamic scholar, however there are many people who criticize him and his claims of being an Islamic scholar. Lets ignore the public opinion for a moment and see how versatile, energetic and passionate Dr. Aamir Liaqat is about his work. He is probably the most modern (self-proclaimed) religious scholar of Pakistan. He has been fired, or putting in nicely, he has changed several TV channels for being criticized for his work. 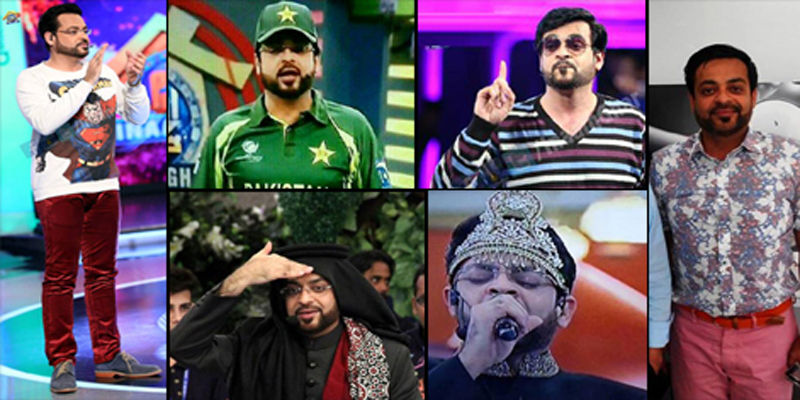 Have a glance at these cheesy, kind-of-burger, somehow unexpected and funny pictures of Amir Liaqat.